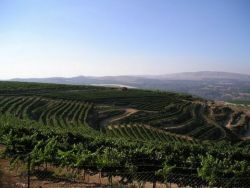 Viticulture has existed in the land of Israel since biblical times. 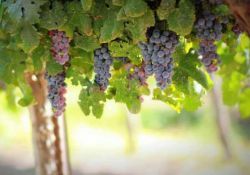 In the book of Deuteronomy, the fruit of the vine was listed as one of the seven blessed species of fruit found in the land of Israel. The location of Israel along a historic wine trading route between Mesopotamia and Egypt brought winemaking knowledge and influence to the area, and wine played a significant role in the religion of the early Israelites with images of grape growing, harvesting and winemaking often being used to illustrate religious ideals. In Roman times, wine from Israel was exported to Rome with the most sought after wines being vintage, dated with the name of the winemaker inscribed on the amphora. Today's wine production in Israel comes from grape varieties traced to French varieties. Winemaking, limited under Islamic rule, was temporarily revived in the Crusader states from around 1100 to 1300 but the return of Islamic rule and the subsequent Jewish Diaspora extinguished the industry once again. The beginnings of the modern Israeli wine industry can be traced to the late 19th century when the French Baron Edmond de Rothschild, owner of the Bordeaux estate Château Lafite-Rothschild, began importing French grape varieties and technical knowledge to the region. In 1882, he helped establish Carmel Winery with vineyards and wine production facilities in Rishon LeZion and Zikhron Ya'akov near Haifa. Still in operation today, Carmel is the largest producer of Israeli wine and has been at the forefront of many technical and historical advances in both winemaking and Israeli history. 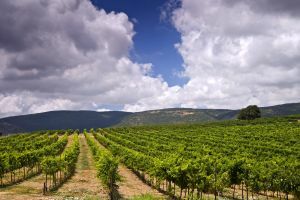 For most of its history in the modern era, the Israeli wine industry was based predominantly on the production of Kosher wines which were exported worldwide to Jewish communities. The quality of these wines was varied, with many being produced from high-yielding vineyards that valued quantity over quality. Many of these wines were sweet. In the late 1960s, Carmel Winery was the first Israeli winery to make a dry table wine. It was not until the 1980s that the industry at large saw a revival in quality winemaking, when an influx of winemaking talent from Australia, California and France brought modern technology and growing methods to the growing Israeli wine industry. In 1989, the first boutique winery in Israel, Margalit Winery, was founded. 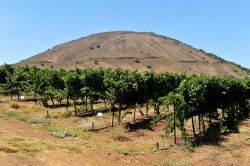 By the 1990s, Israeli estates such as Golan Heights Winery and Domaine du Castel were winning awards at international wine competitions, and the 1990s saw a subsequent "boom" in the opening of boutique wineries. Today, less than 15% of Israeli wine is produced for sacramental purposes. 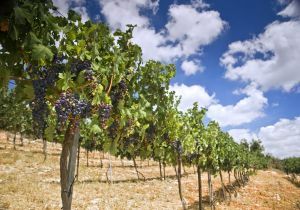 The three largest producers—Carmel Winery, Barkan Wine Cellars and Golan Heights Winery—account for more than 80% of the domestic market, and Israel has emerged as a driving force for winemaking in the Eastern Mediterranean. The country has also seen the emergence of a modern wine culture with upscale restaurants featuring international wines dedicated to an ever-increasing wine-conscious clientele.